Leading up to 2017 Chinese New Year (which is tomorrow, January 28! ), we wanted to publish our Chinese New Year 2017 Recipes updated from our Chinese New year post from last year, updated with all of the recipes that we released last year and this year. From appetizers to dessert, we’ve got you covered on most of the ideas that you’ll need to put together a festive new year’s feast for friends and family. 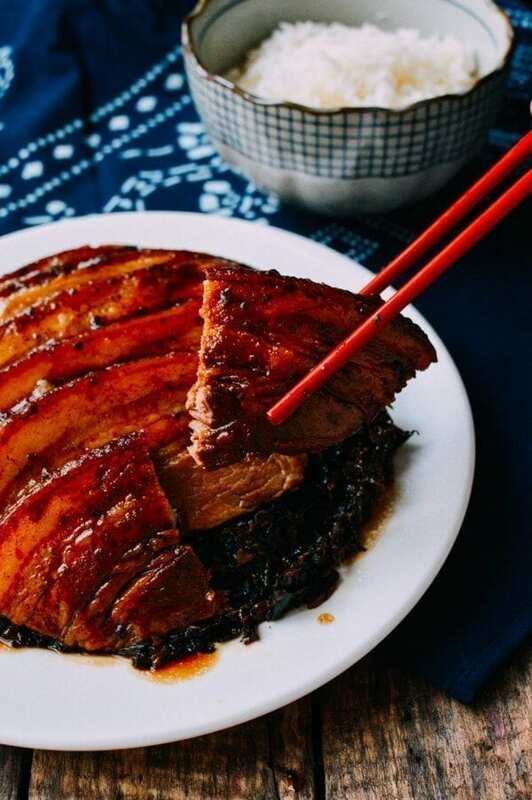 For a complete list of Chinese New year recipes, see our Chinese New Year Recipe Planner page but for now check out this great list we put together and don’t forget to leave your recipe request in the comments! Click the photos to navigate over to the complete recipe and lots more step-by-step pictures on how to make these yummy dishes. This is Sarah’s FAVORITE. This isn’t a common dish you’ll find at restaurants, but if someone’s willing to make it for you––or you’re willing to make it for others––it’s a special dish. 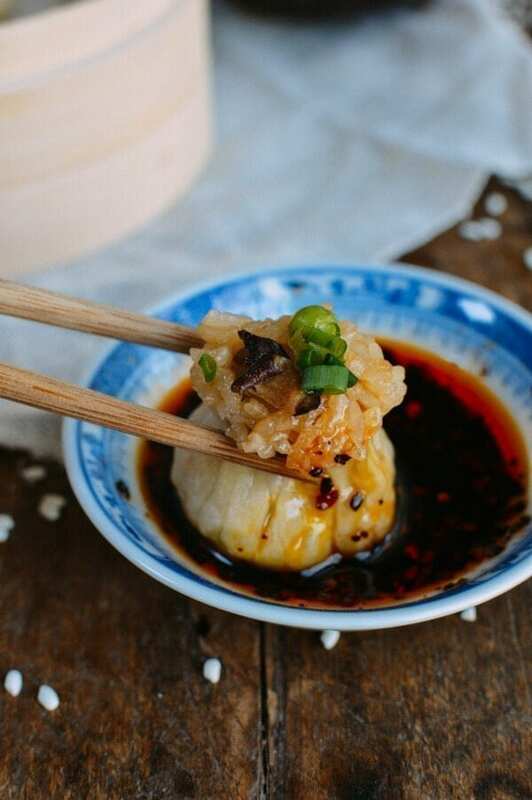 These little shumai are the perfect starter to a Chinese feast, and if you’re hosting vegans, they will gobble these up, rest assured! Another option for vegetarian and vegan friends. But these dumplings are so good that even the most ardent of carnivores may find themselves appeased! 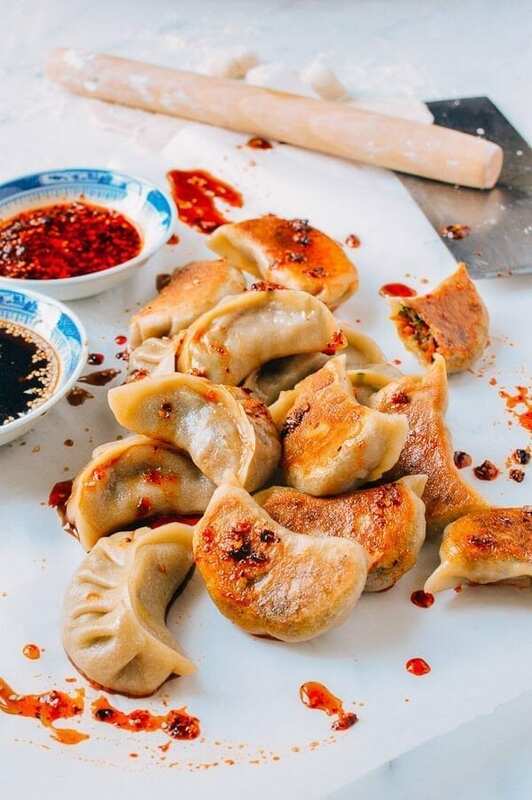 If not though, check out our other dumpling recipes: Pork Chive Dumplings (and homemade dumpling wrappers), Chicken Mushroom Dumplings, and The ONLY Dumpling Recipe You’ll Ever Need. 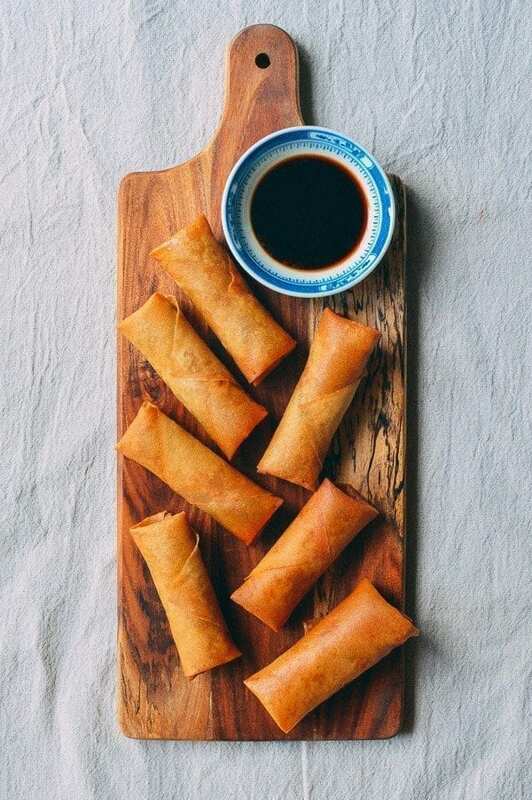 If a full-blown feast isn’t your style, you can have a make-your-own-dinner dumpling folding and cooking party! Do these really need any explanation? Festive, auspicious (they look kind of like gold bars, don’t they? ), crispy, and delicious. ‘Nuff said. Taro Cakes are a traditional treat that we always have during the New Year. 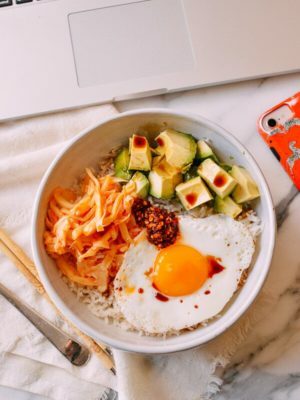 Serve it as an appetizer or the day of for breakfast–a couple of crispy pieces with a fried or hard-boiled egg is pretty close to Chinese New Year perfection. 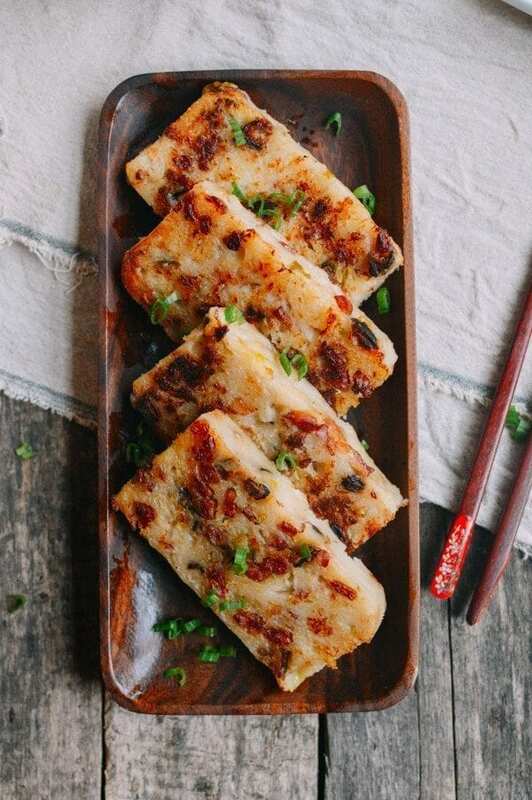 Turnip Cake is another Chinese New Year brunch classic. 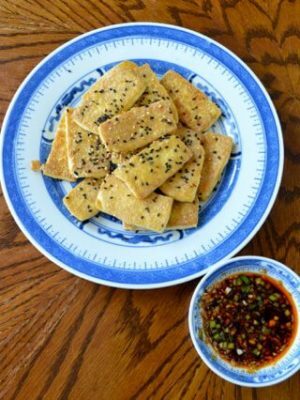 You’ve probably seen it served up on steaming carts at dim sum restaurants across the country. 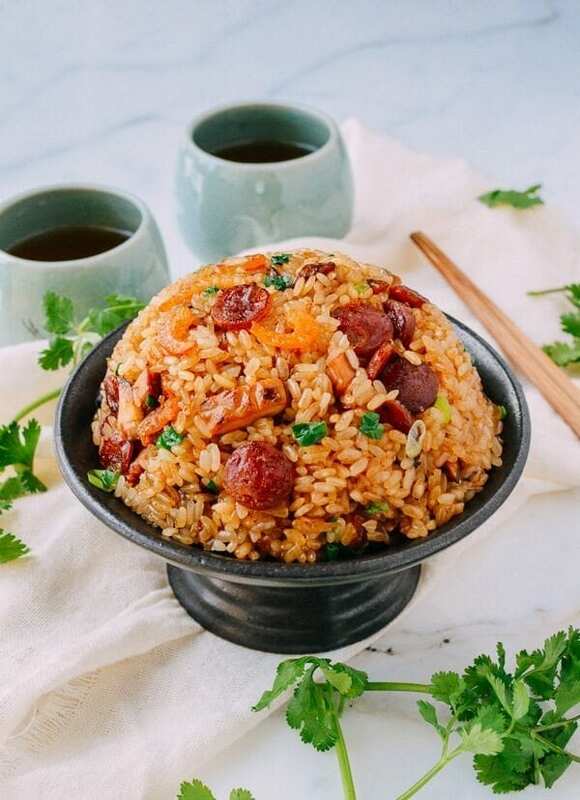 We pride ourselves on our recipe, because it boasts a healthy turnip flavor (tastes better than it sounds) with plenty of mushrooms, scallion and Chinese sausage peppered throughout. This is one of our earliest recipes on the blog (hence the somewhat…ahem…questionable photography). 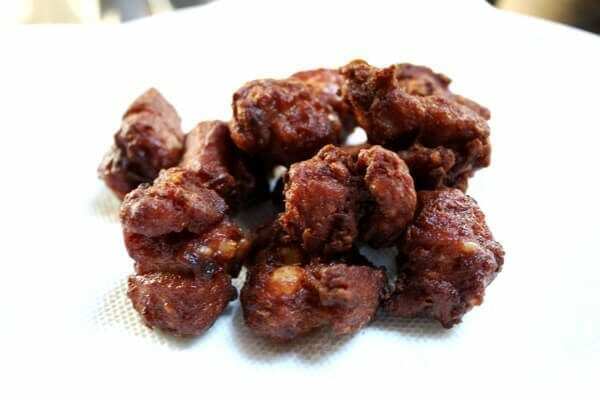 But don’t let photo quality fool you–every time we make these for family gatherings, they disappear as quickly as we can fry them! This is a delicious, classic soup that our family loves. 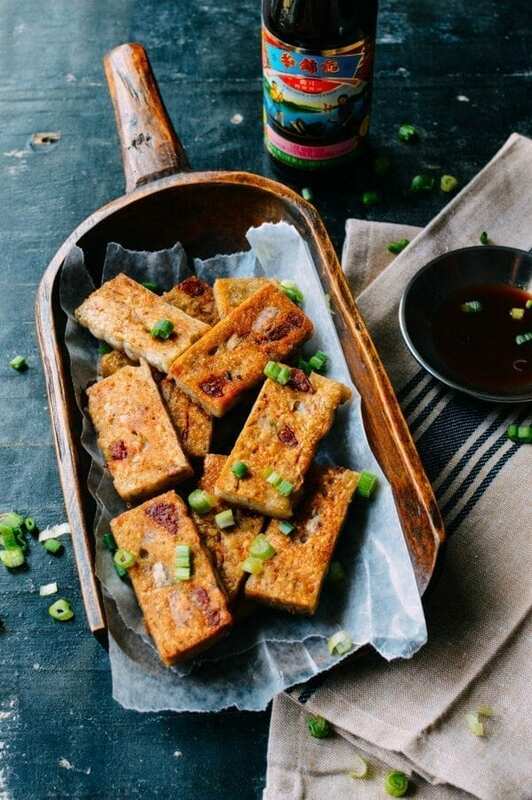 Made with Shanghainese salty pork, bamboo shoots and tofu knots, the flavors are unique and awesomely savory. 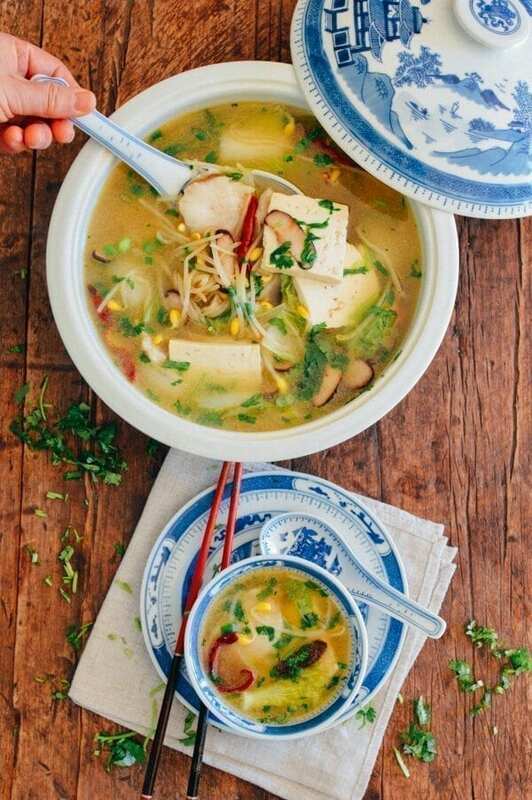 Every Chinese New Year table needs a soup, so if you’re looking for something simple and tasty, give this one a whirl. 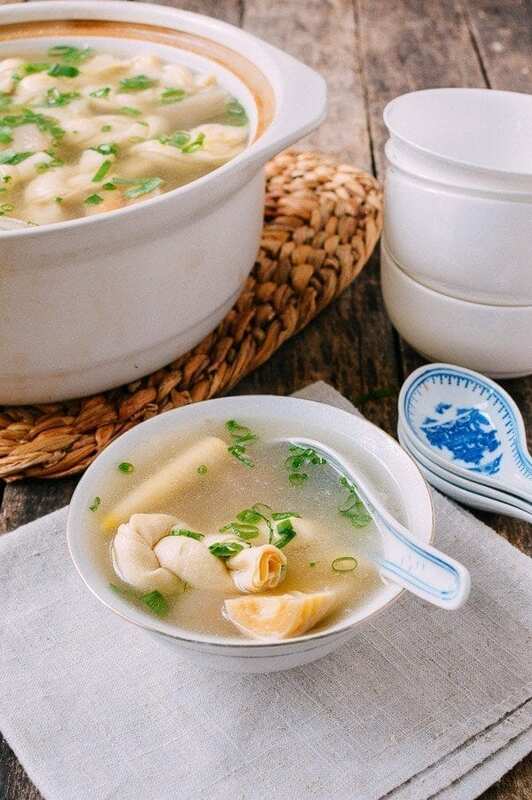 Another one of our favorite soups; if you have yet to try out a Chinese soup, Chinese New Year is definitely the time to do it! 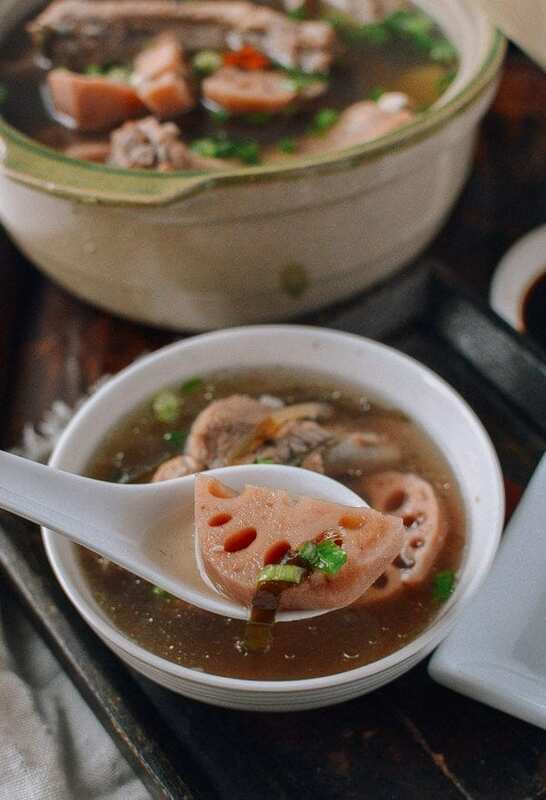 This lotus root & pork bone soup is warming and nourishing, perfect for this time of year. Serve the soup with a bit of soy sauce on the side for dipping. Chinese New Year is the time to eat auspicious (read: expensive) foods to ring in a prosperous and happy new year. 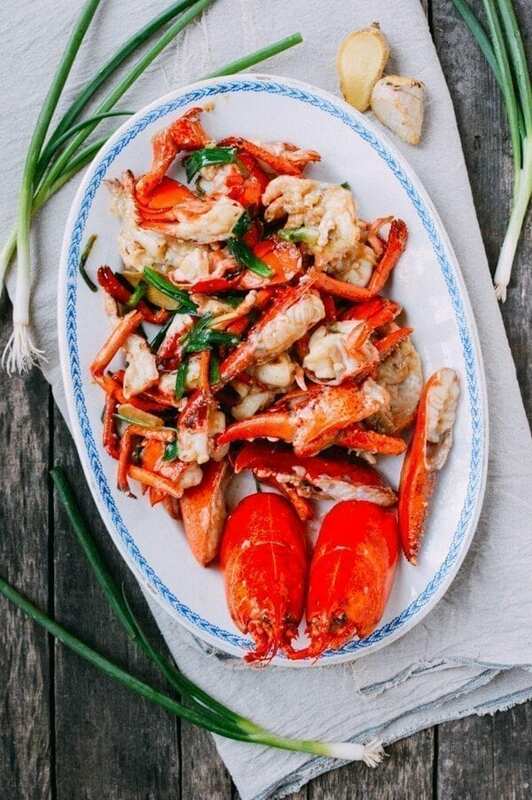 What’s more *auspicious* than lobster? This one isn’t for a novice cook, but the pay off is phenomenal. 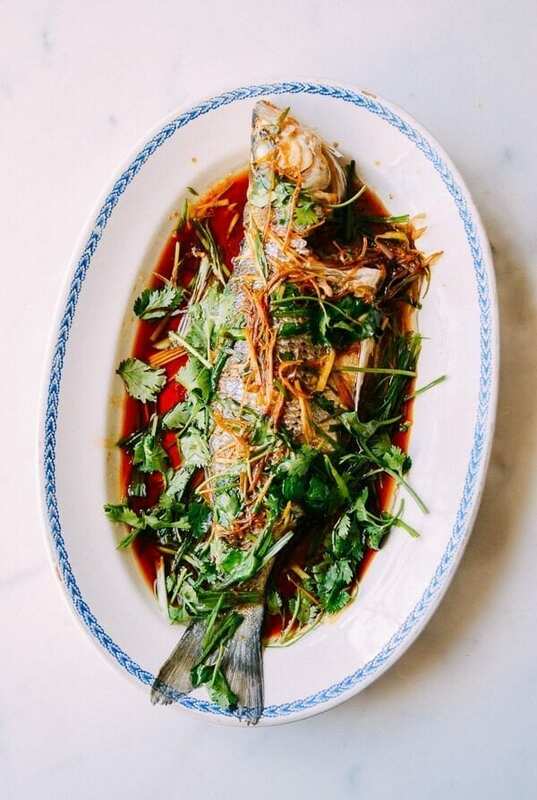 A classic titan of the Chinese New Year table is fish of some kind. 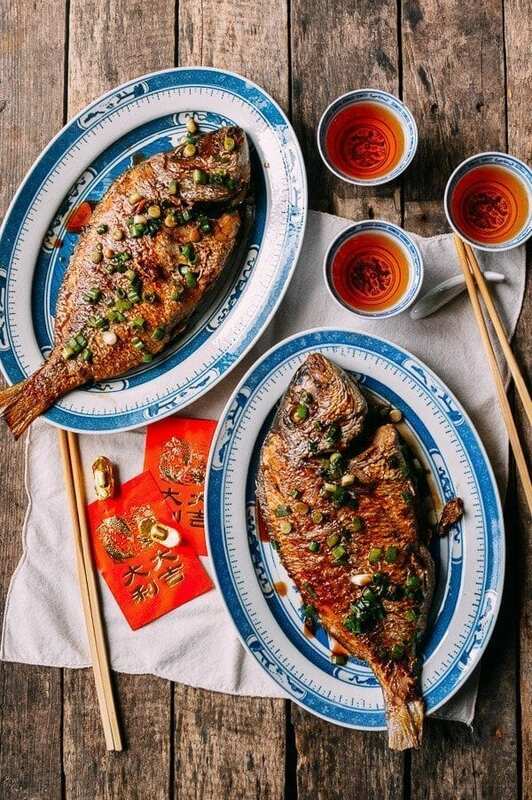 The fish must be whole and there must be two–one for Chinese New Year’s Eve and one saved for Chinese New Year’s Day. Both must be cooked on New Year’s Eve, however. 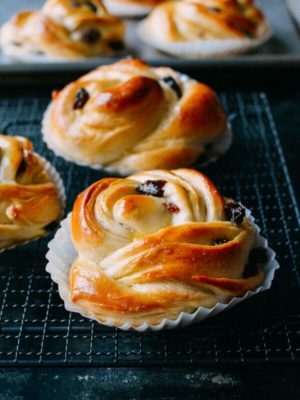 Make one of these and one of the next recipe or two of each! 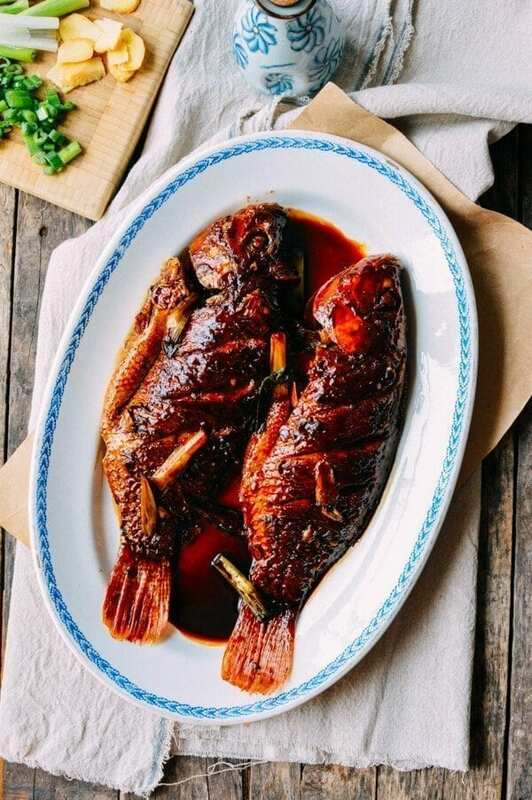 This is my maternal grandfather’s specialty–he’s heavy-handed with the vinegar, soy sauce, Shaoxing wine, and rock sugar. 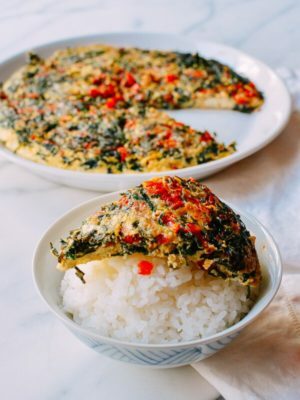 It all culminates in the tastiest version of this fish anyone has ever had, and we’ve translated his method into this recipe. You may not see this on many menus, but trust us when we say that you won’t regret making this fish! 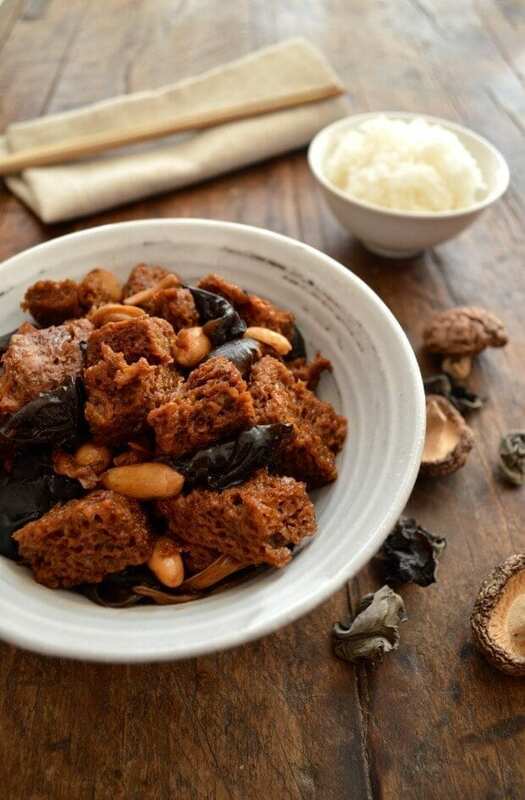 This very elegant, special dish has that wow-factor that you want for Chinese New Year. 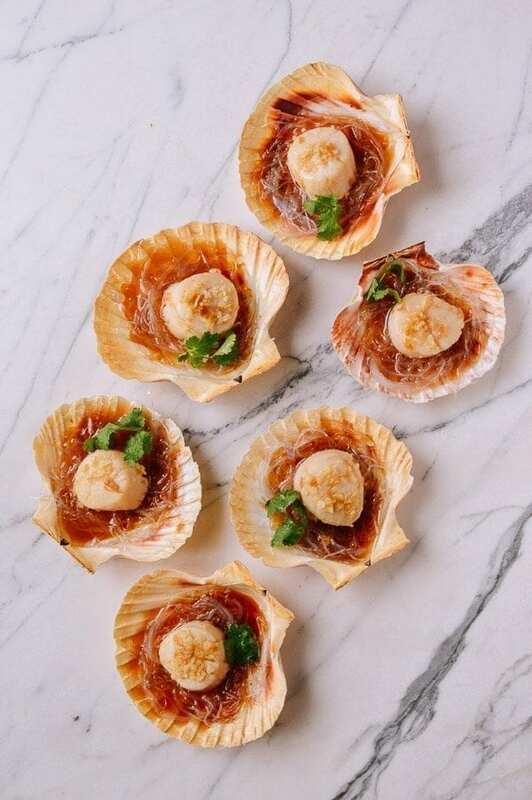 We steamed our scallops in natural scallop shells that you can buy especially for cooking, which you can get here. 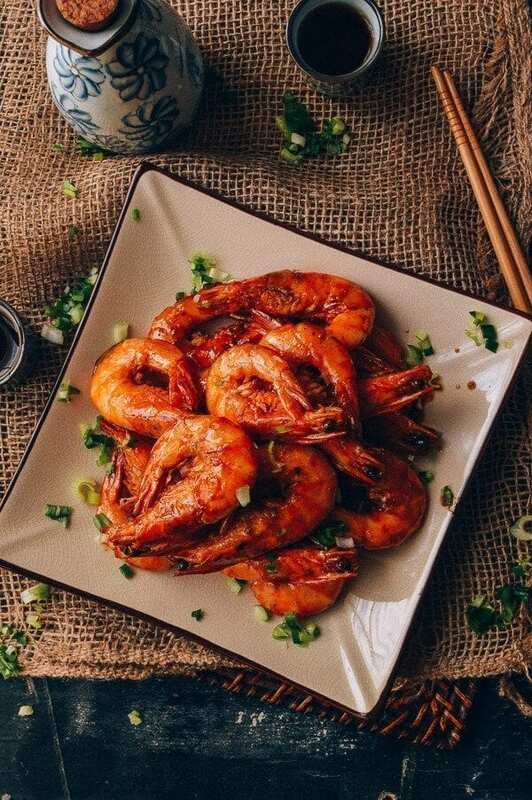 If you like shrimp, you will LOVE this shrimp stir-fry––you may even eat the shells! You can’t get a much more spectacular presentation than this. The “nest” is made from pieces of julienned taro. 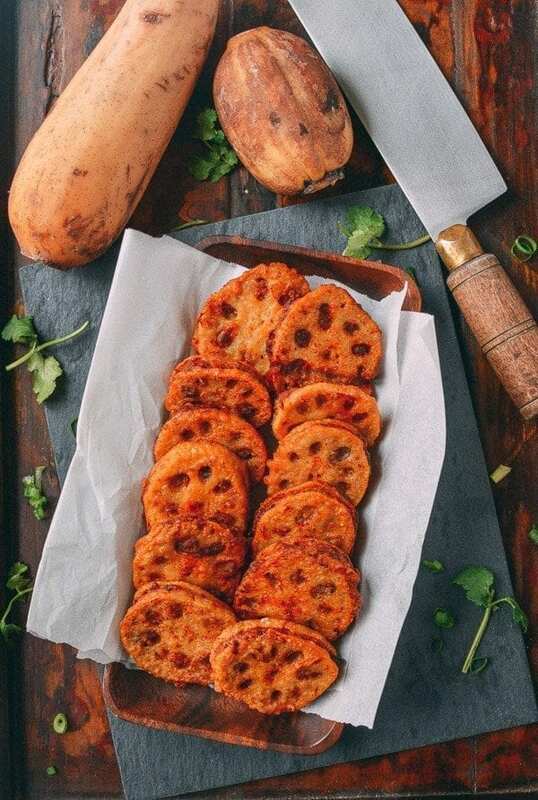 If you can’t find taro, you can also use potatoes. 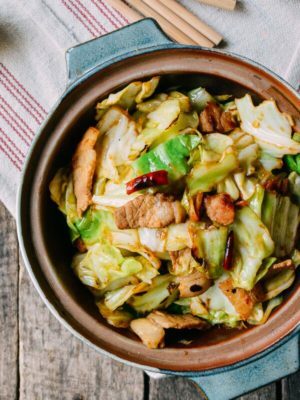 This dish is for all those traditionalists out there who grew up with this on the Chinese New Year table every year. The “black moss” is actually a type of seaweed! 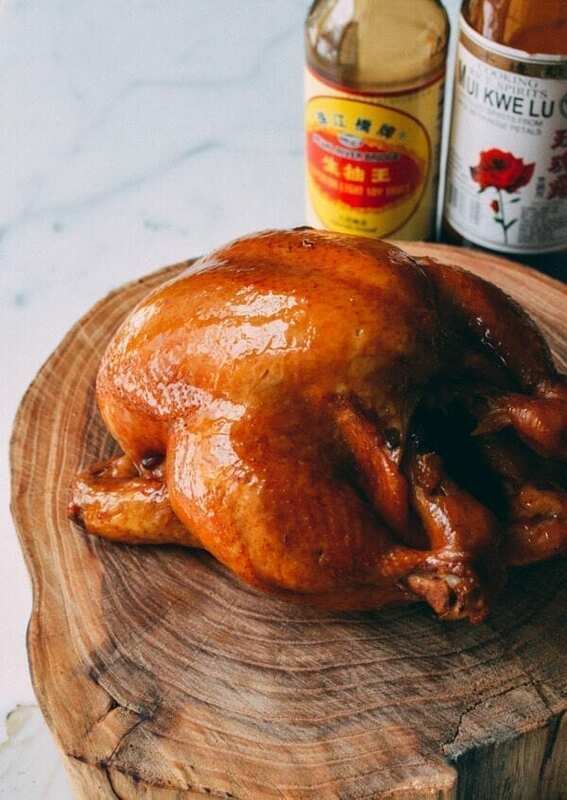 There’s nothing more auspicious than a whole chicken. Technically, the proper Chinese New Year way is to serve the chicken with head and feet included on the plate. We’ll give you a pass on this one, though! 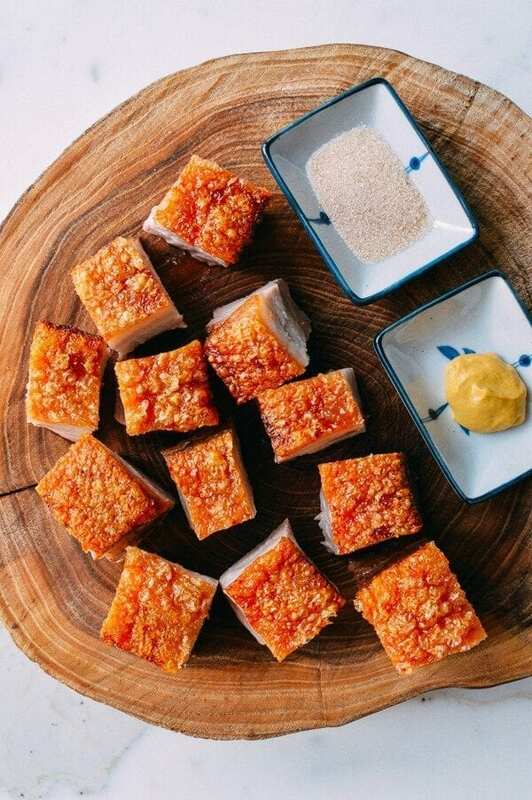 If you REALLY want to wow your guests, make this delicious Cantonese Roast Pork Belly. The crispy skin, the five-spice marinade…they’ll practically be groveling at your feet when this arrives at the dinner table. 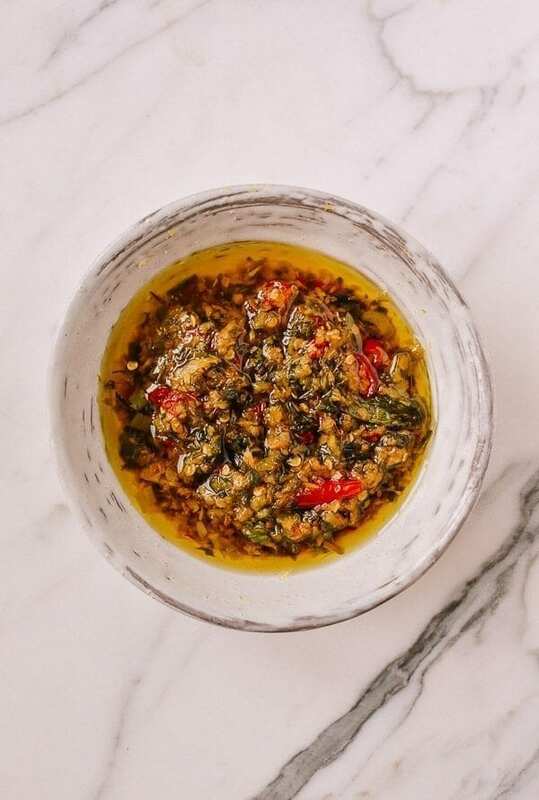 Ginger Scallion Oil with Chilies is the perfect condiment for Soy Sauce Chicken and Cantonese Roast Pork Belly. Your white rice will taste *significantly* better with its presence! 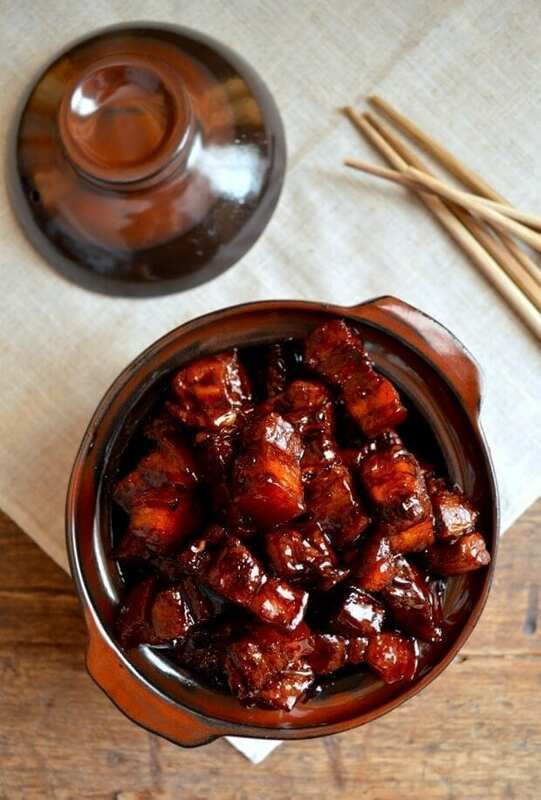 This Hong Shao Rou recipe is my mother’s pride and joy. This dish is authentic, auspicious, and so good, you’ll hardly believe it was made with your own two hands. A hallmark of an amazing dish at our house is the speed with which we demolish it during a blogging session. Well. This was practically inhaled in the 20 minutes after the last photo cleared approval! 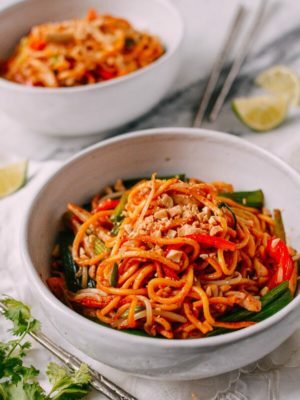 It’s spicy, saucy, and full of veggies and chicken; and let’s not forget the surprise bed of noodles underneath! 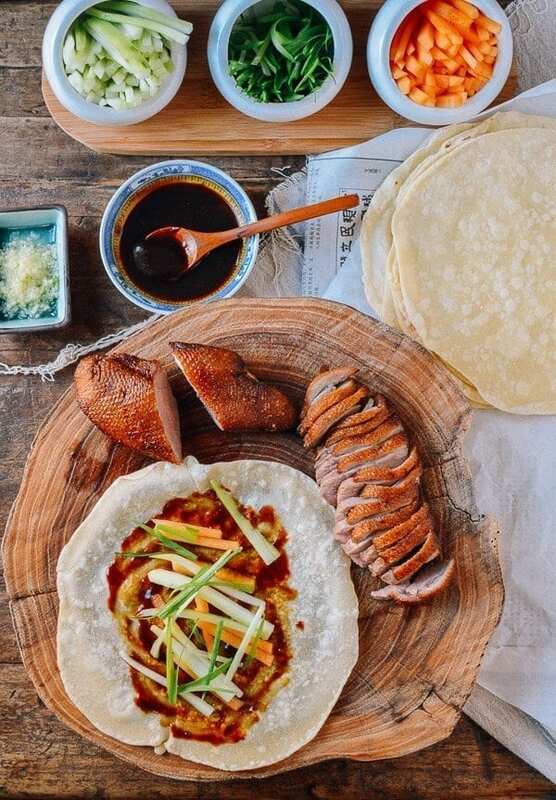 Until this recipe, Easy Peking Duck seemed more of a cruel oxymoron than recipe title, but believe us when we say that this is pretty much as easy as it gets while preserving authentic flavors. 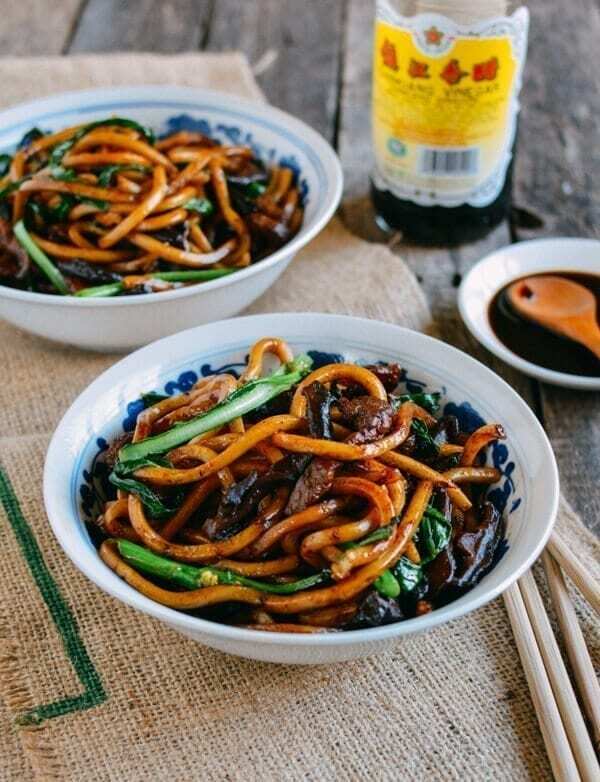 Chinese New Year is the perfect time to give this festive dish a whirl! Rice cakes are always a much-approved auspicious Chinese New Year food. 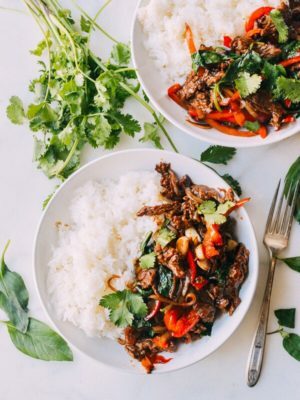 This saucy version with plenty of juicy slices of steak and caramelized scallions is festive and addictive! 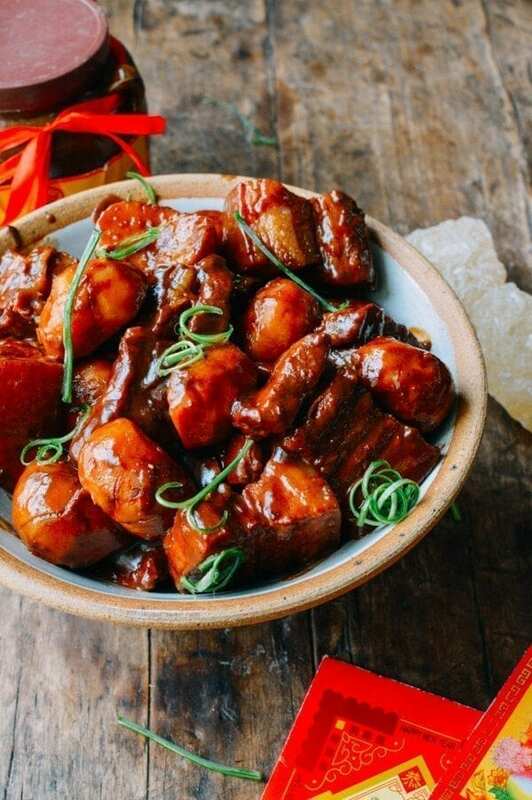 Braised Pork Belly with Arrowroot is a traditional and festive Chinese New Year dish that my dad makes sure is on our dinner table. If you can’t find arrowroot, you can sub in taro or potato. This is one of my all-time favorite Chinese dishes. And around here, them’s fightin’ words–so you know I mean business. 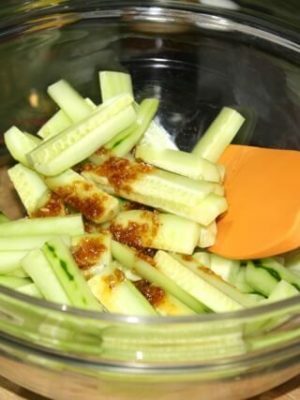 In fact, when I would visit my mom’s aunt’s house around Chinese New Year time, taking home a leftover container of this was a serious and significant highlight of the holiday. Never cooked a duck before? 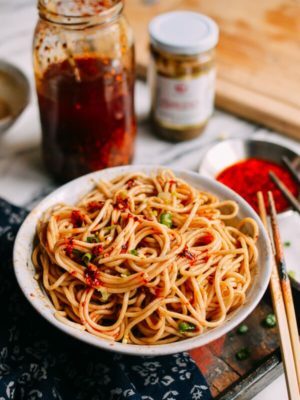 Chinese New Year is the perfect time to give it a try! 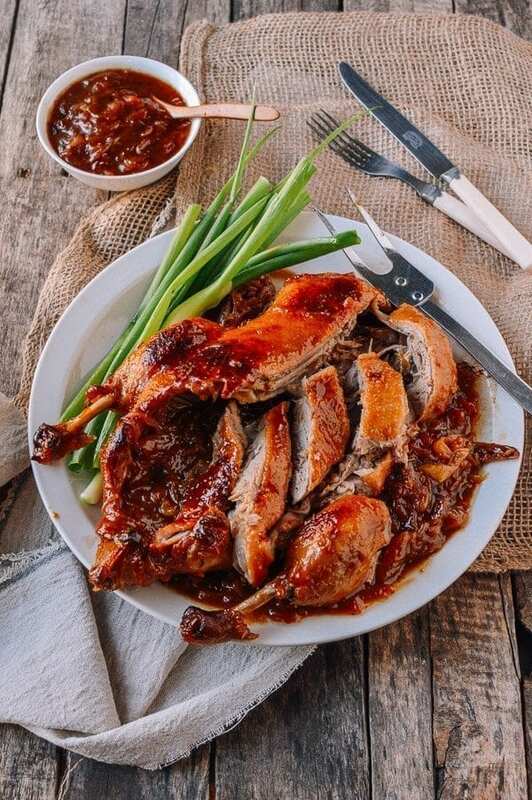 This sour plum duck has a unique flavor––the sourness of the preserved plums is balanced by the sweetness of all the caramelized onions in the dish. 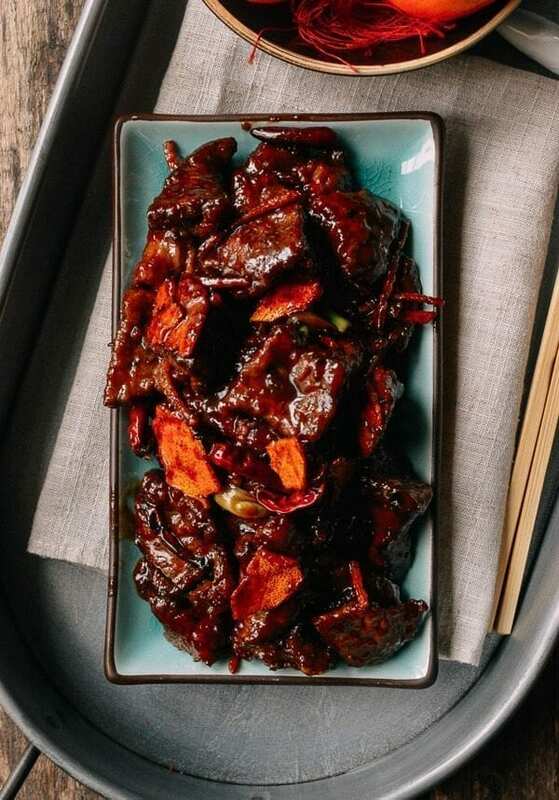 Tangerine Beef is an auspicious dish to make during the lunar new year––tangerines and oranges symbolize luck and wealth. 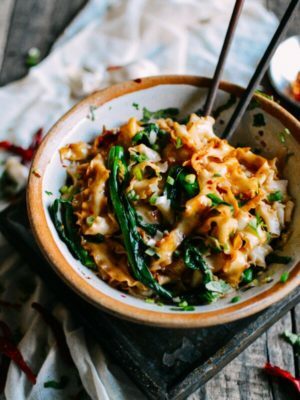 You won’t find this dish in a restaurant––it’s one of those special once-a-year kind of specialties that people make only for special occasions! 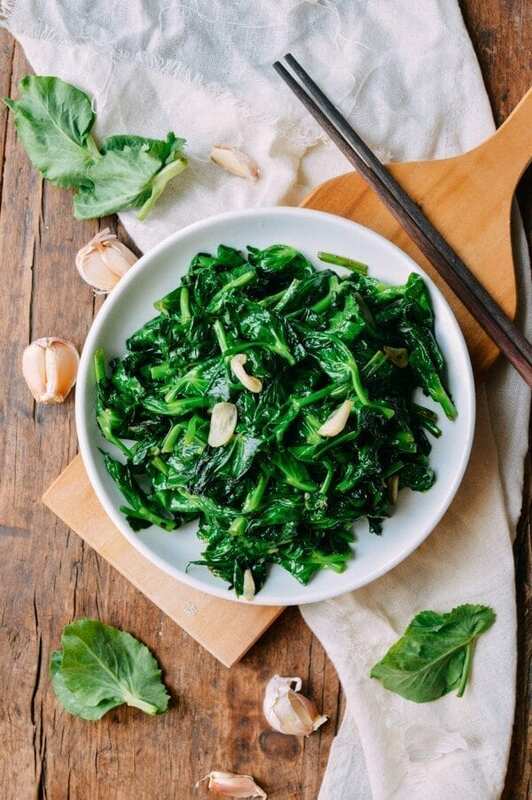 Kicking off the vegetable portion of the meal is something that Chinese families will invariably include on the dinner table: a simple and healthful side of green, leafy vegetables. 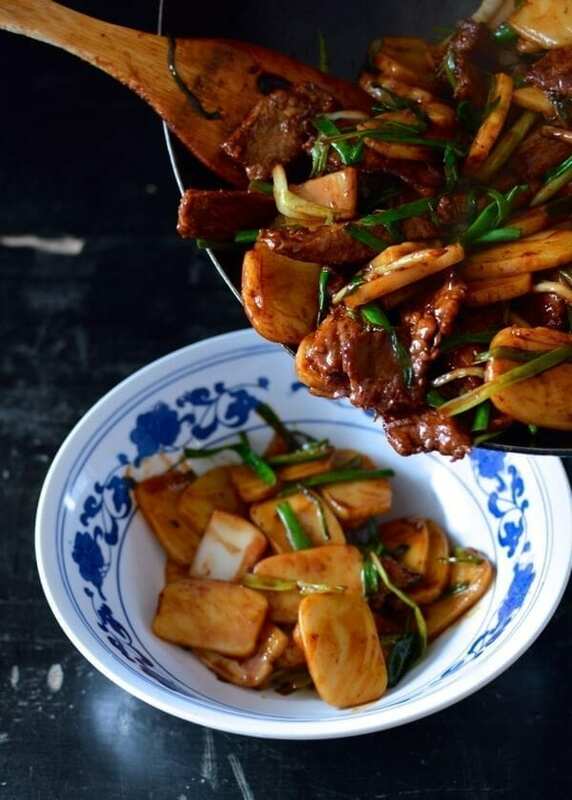 This is a Shanghainese favorite that’s healthy, vegan, and surprisingly tantalizing when done right. 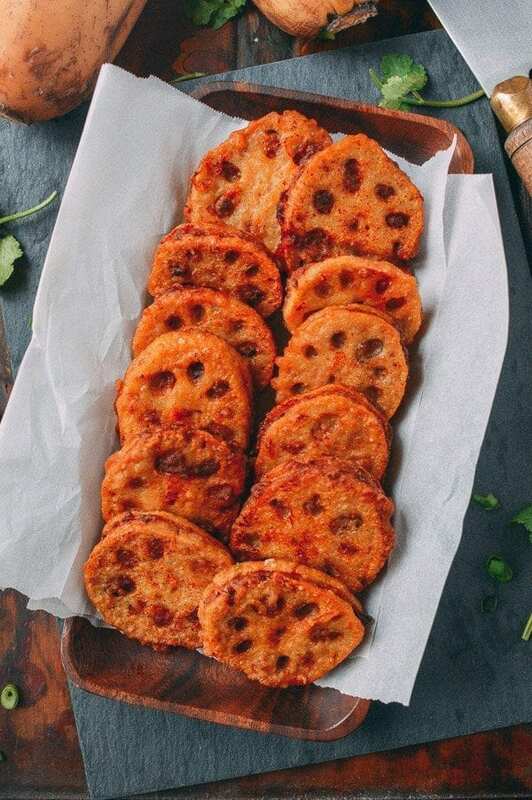 This is another good contender for a meat-dish-substitute for vegan and vegetarian family and friends! Buddha’s Delight is an auspicious vegetarian dish my dad has been ringing in the new year with since he was a kid going over to his grandmother’s house. To this day, she still cooks up a big batch of it for the kids and grandkids. 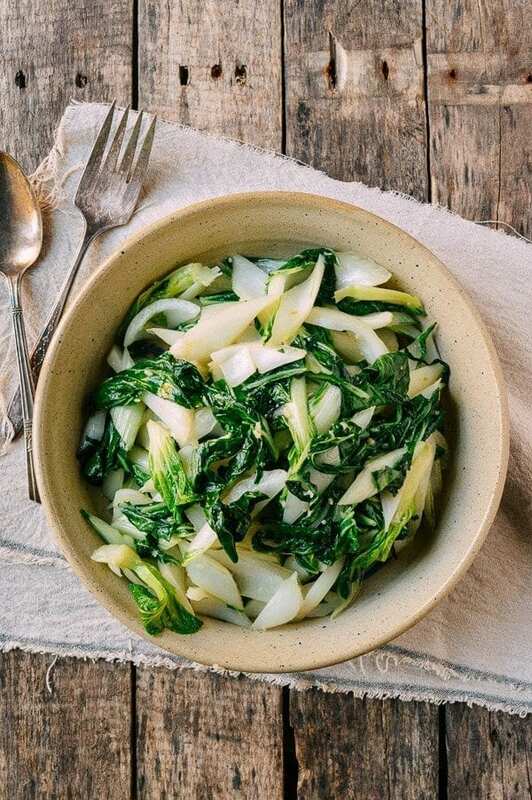 Another super simple veggie option, these pea tips are a bit more decadent (and pricy) than your average bok choy. Chinese New Year is a time to splurge–from new clothes, the best foods, and hong bao envelopes for kids. Spring for the pea tips! 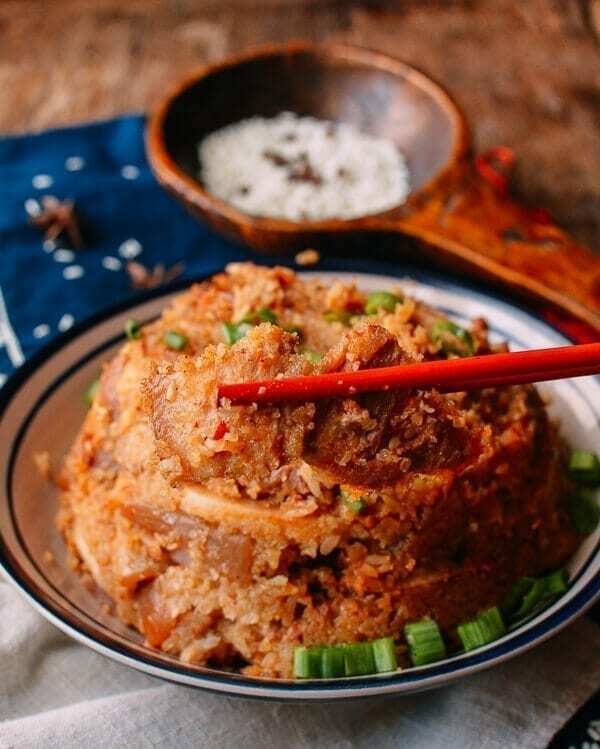 Sticky rice is one of those dishes that seems elaborate and vaguely intimidating, but it’s easier than expected and tastier too! 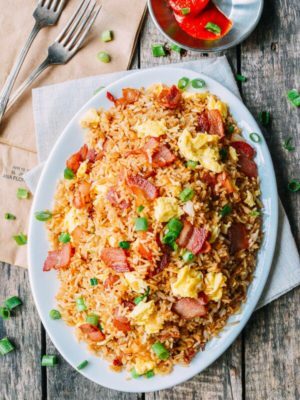 Chinese sausage and dried shrimp add distinctive yet highly traditional flavors. This was another vital revelation that we probably never would have made without the blog. 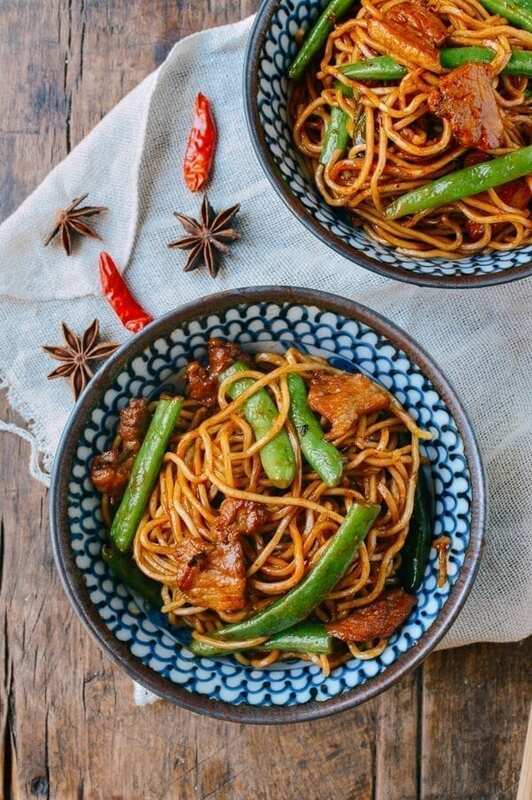 Pork belly, green beans, chewy noodles, and a delicious soy sauce mixture makes this dish absurdly delicious, and steaming the noodles in the wok saves one more pot from the after-dinner sink! 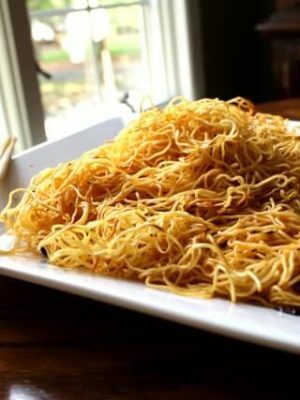 You may recognize these noodles as the ones you get at the end of the a Chinese banquet. They represent longevity, and they go great with lots of chili oil. 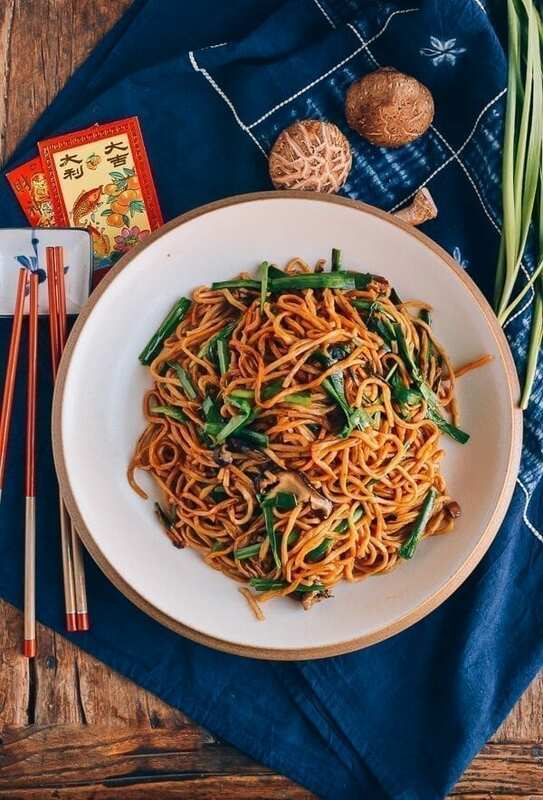 Shanghai Fried Noodles are a simple and humble longevity noodle for your Chinese New Year table. 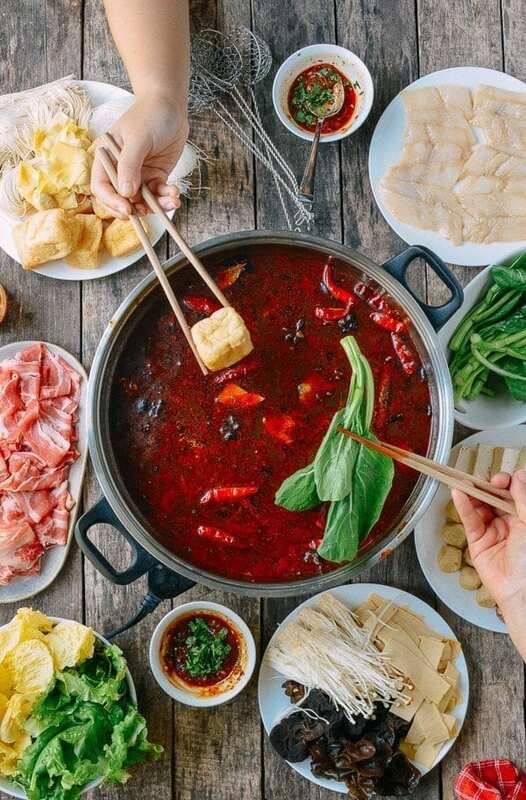 If you’re looking for some lower impact Chinese New Year dinner options, check out our Hot Pot, always best enjoyed with plenty of family gathered around the table. 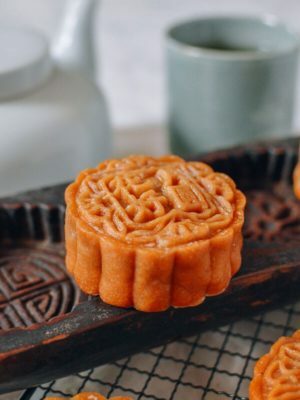 Traditional, not too sweet, and full of nutty flavor, these go perfectly with a cup of tea or coffee after your Chinese New Year feast! 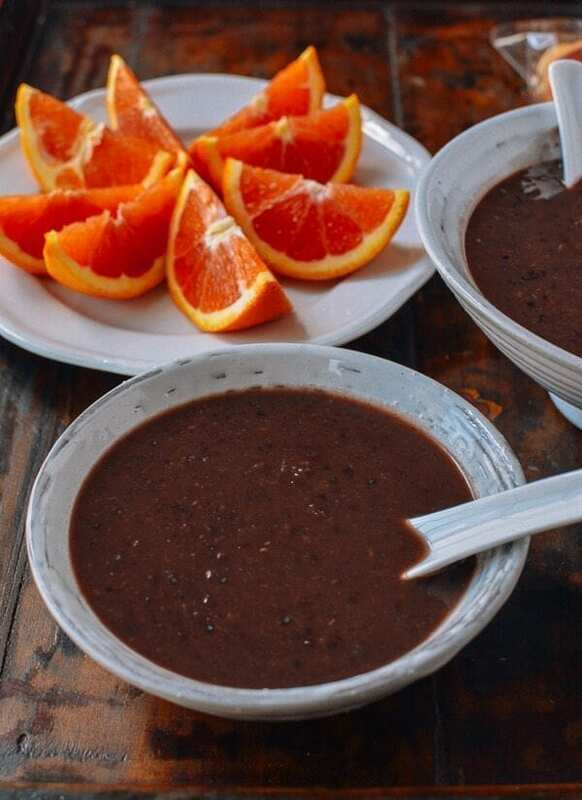 Sweet red bean soup is often served at the end of the meal at Cantonese restaurants, along with sliced oranges. 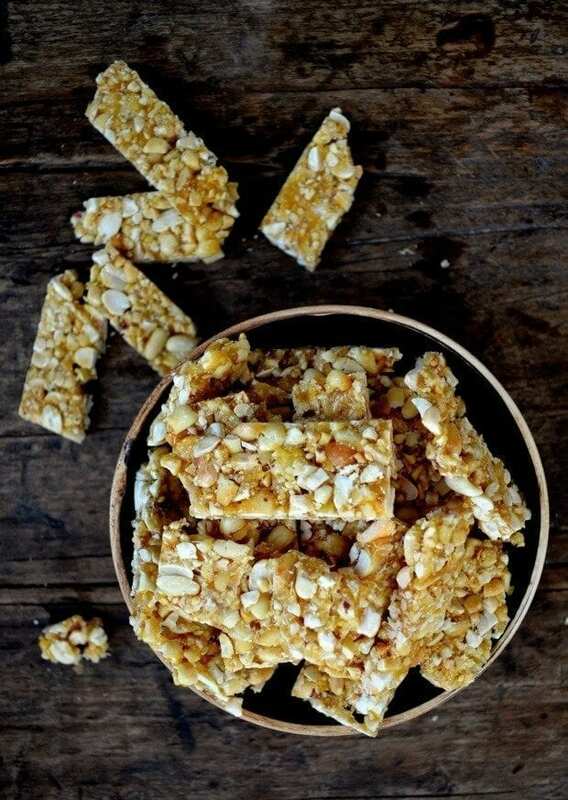 Why not make a batch of your own to cap your Chinese New Year feast? 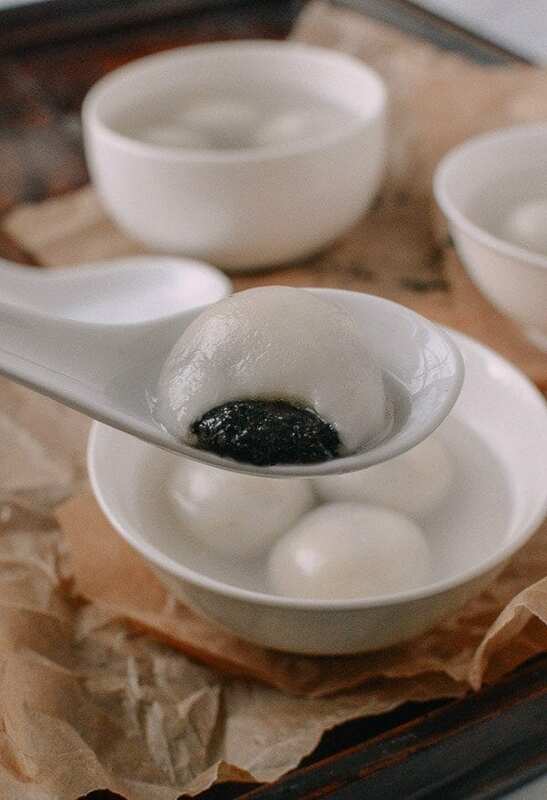 These sticky sweet rice balls filled with sweet black sesame filling are one of our absolute favorite Chinese holiday desserts. 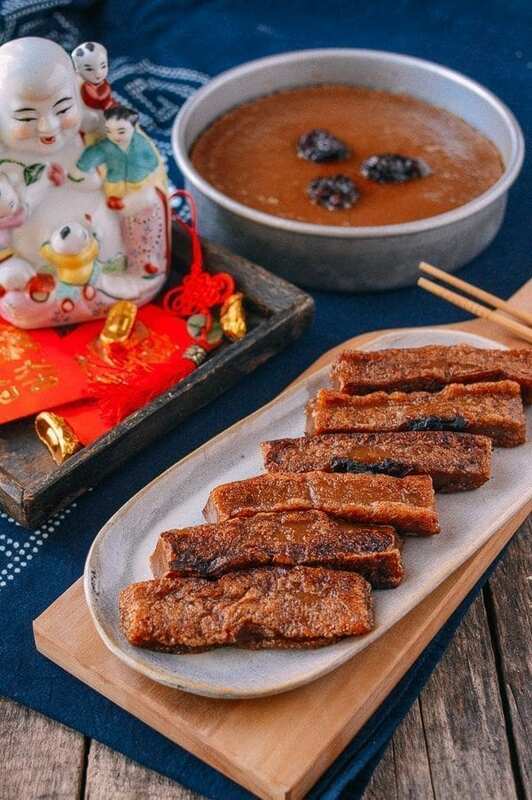 We make a batch of nian gao every Chinese New Year, being sure to make at least three or four of them––one for us, and a few to give away as gifts! Okay, so these technically aren’t Chinese, but the star ingredient is the auspicious clementine. 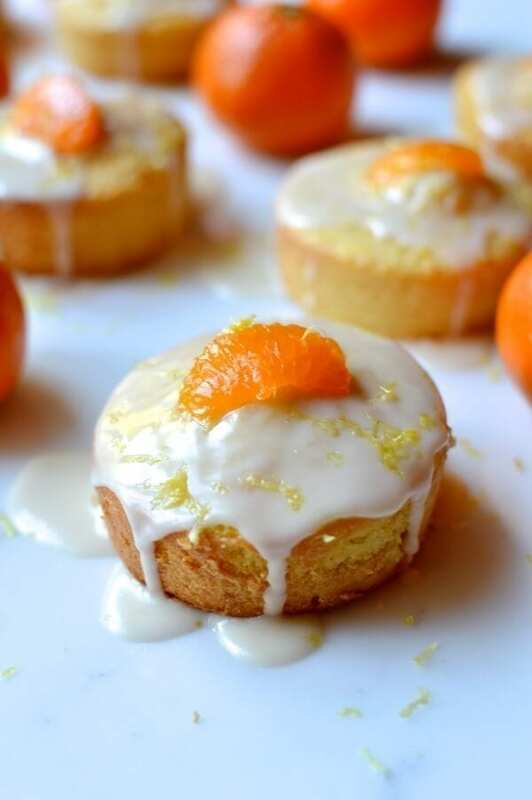 If you’re going over to someone’s house for Chinese New Year, bring oranges and a batch of these. It’s considered bad form and inauspicious to show up to someone’s house empty-handed! This is an easy sweet that you can make in advance of the big day. Enjoy it after dinner or set it out early in the day as munchies for your guests while you work on dinner! 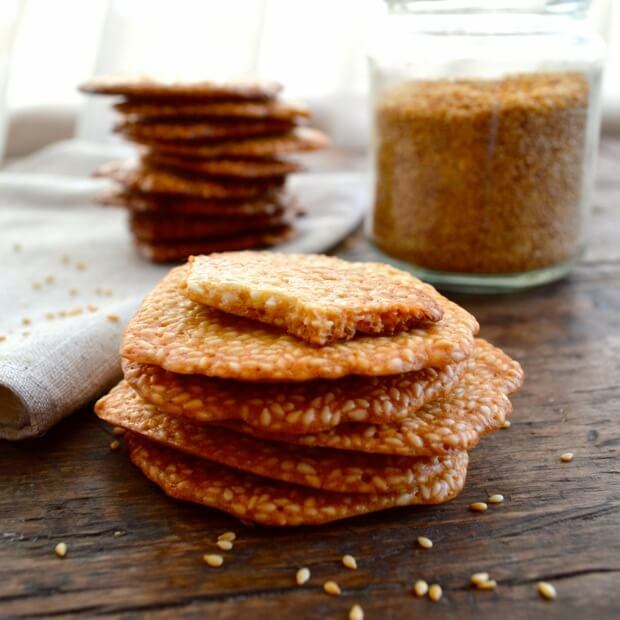 These Sweet Sesame Crisps are another of our favorite easy, low-impact desserts. 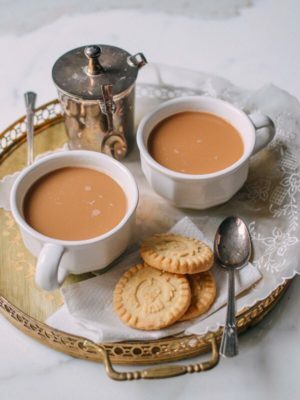 Serve with a cup of red tea for a simple dessert! Here you have the beginnings of the perfect Chinese New Year Dinner! Remember to leave your recipe requests in the comments! I love this site. So many authentic recipes that I need to try. This brings back some wonderful childhood memories when I was growing up in Hong Kong. 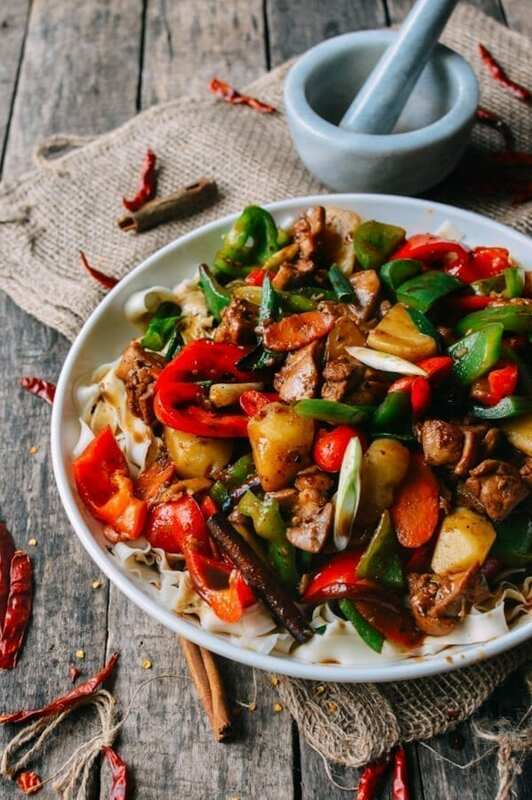 As I get older, I realized I missed the authentic Chinese dishes more and more. Thank you so much for putting this together. It makes me feel all warm and fuzzy inside. LOL. Best wishes for the new year. Your Blog has become my favorite “go to” site for Asian cuisine. Thank you for your tireless efforts to make this possible. Thanks Samuel and hope you visit us often! Kung Hey Fat Choy friends. Health wealth and happiness in the new year! Thank you for your tireless efforts to bring authentic recipes to the masses! We wish your family health, happiness, and prosperity in the new year. My wife and I enjoy making (and eating) the dishes you present on your website. We try to make at least one each week. We’re looking forward to another year of good eating. Thanks Craig and happy new year to you and your family! I am so happy I found your site. I am having a New Year’s Party next week and your recipes are wonderful. Happy, prosperous and healthy New Year to you and your family! Thanks Cristina and Happy year of the rooster! I have been visiting your site regularly. Love all the recipes. I’ve tried making some and will definitely try more in the future. Even my Caucasian husband of Irish descent loves it when I cook Chinese food for him. Wishing you all a Very Happy, Healthy and Prosperous Chinese New Year. I have been following your recipes and making many. Each one of them has been delicious. I live in Manitoba, Canada and can find most of the ingredients at out Asian stores. Love the recipes. Keep them coming. As a long time visitor to your site, I’m very grateful that these traditional favorites are so accessible. Wishing you a very happy and prosperous Chinese New Year, from my family to yours! My family makes quite a few dishes that aren’t on the list but I would love to see your family’s take on them! 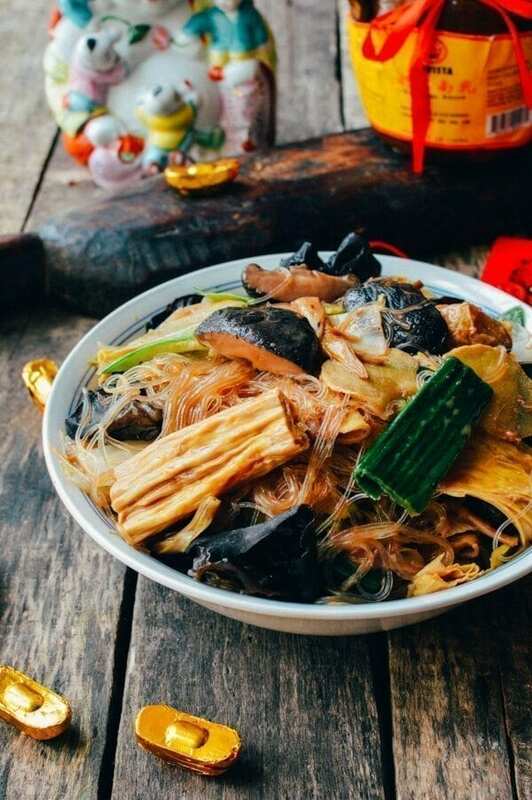 We have two dishes that traditionally use the black moss (fat choy). One is the Dried Oyster and Black Moss (Ho See Fat Choy) and one is the Buddha’s Delight (Lo Han Jai) although I did not add the black moss to this recipe. 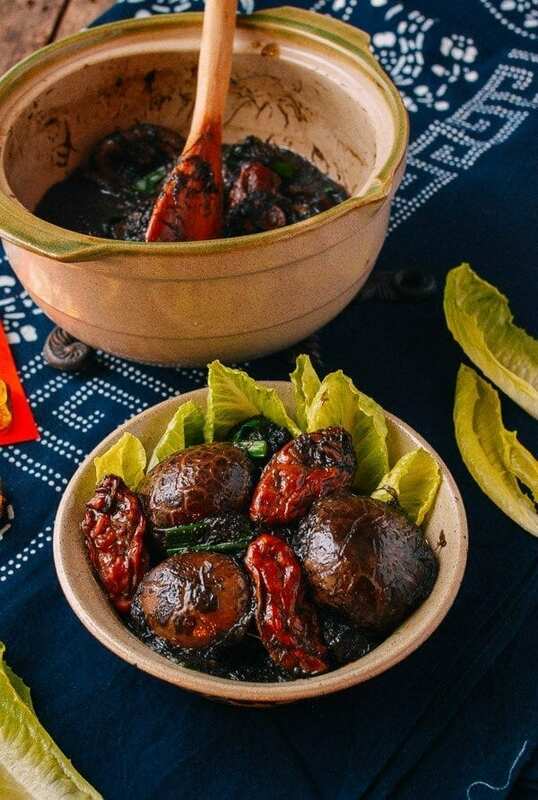 The black moss is actually harvested from the desert and you can read more about it on our Chinese ingredients pages – Black Moss. 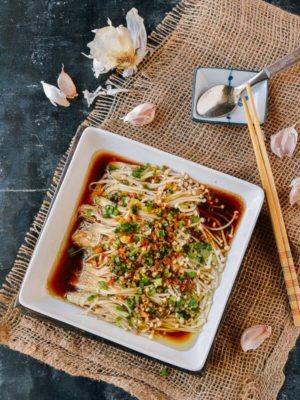 Our A Cheung Fun Recipe (Homemade Rice Noodles), Two Ways is also HERE for you to cook!